Halloween would not be complete without pumpkins, candy, little ghosts and ghouls, and sore feet. If you are the family historian, this list should also include the adrenaline rush of tromping through a graveyard! A few years ago my mother navigated a few of us to the cemetery where her parents are buried. It was a lovely October day, and we visited the graves and reminisced against a backdrop of nature’s colorful handiwork. It was a day of remembrance, family bonding and refection. Whether you are physically searching for deceased family members in familiar cemeteries or perusing burial records and memorials online, it is a great weekend to dig up some data pertaining to deceased relatives! Despite the sadness of funerals, cemeteries have always been a place of contentment for me. While growing up in western Pennsylvania, we often played in one of the several cemeteries that graced the hilltop surrounding our neighborhood. In the summer we frolicked amid the grassy fields and practiced riding our bikes along the pavement. During the winter we squealed in delight as we glided sleds down our favorite slope. In more recent years, my strolls amid the headstones have provided opportunities to connect with departed loved ones and to find peace and tranquility during life’s many challenges. At times I have cherished the privilege of locating headstones for other people by filling requests on Find A Grave. 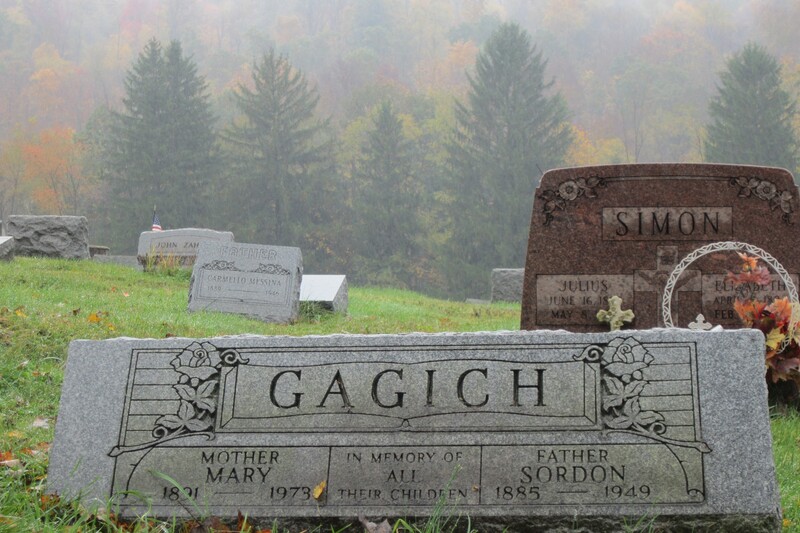 While searching for my own family interments, I have also photographed and contributed information to not only Find A Grave, but also to the Cemetery Tombstone Inscriptions and/or Contributed Records Allegheny County, Pennsylvania. With so many cemeteries deteriorating, digital preservation is one way to preserve burial records along with local history. If you are interested in volunteering to preserve cemeteries either physically or digitally, please contact the historical society, churches, or city offices in your hometown or current place of residence. It is a wonderful way to contribute to your community and bless the lives of other family historians who are unable to travel long distances in search of deceased family members. Whether you are able to romp through your family cemetery and enjoy the fall colors in person or visit the tombstone memorials online, this is a great weekend to treat someone with the gift of information from your favorite graveyard! Muahaha! It was my pleasure!